Running your company with AdvantEdge Business Centers makes your life as a business owner much easier; we take care of all of the logistical details and allow you to focus on what is most important – guiding your business to success and growth. We know that meetings are what really take your business to the next level; we’ve designed our centers to provide professional meeting spaces that help you close the deal. All AdvantEdge Business Center locations offer a variety of meeting spaces built to accommodate anything from intimate weekly meetings to large yearly trainings. Whether you are looking for a quiet, private space to take a call, a large facility to host trainings, or something in between, AdvantEdge provides the ideal setting for any event. With rooms that can seat up to 48 guests as well as more spacious lounge areas that can be used for receptions and other social events we have a space perfect for you. Our conference rooms are fully equipped with state of the art technology that will ensure that all of your meetings and presentations run smoothly. All are outfitted with phones for any calls you may need to make as well as hi-definition flat-screen televisions and the ability to easily connect your personal computer for any visual presentations. 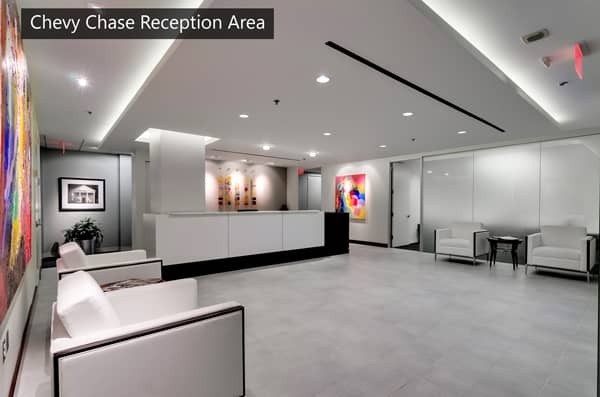 Click the button below to find out how we can help foster an impressive and comfortable experience for your next meeting. All of our conference spaces are designed with flexible functionality in mind with the ability to be reconfigured for your specific event. Most of our conference rooms can be shifted from a board room-style arrangement to a classroom style in mere minutes. Additionally, our business centers are staffed full-time with kind and capable Client Services Coordinators that will make sure your meeting space is set up to exceed your expectations. Our meeting rooms combine affordability, flexibility, and style that truly set AdvantEdge apart from other workspaces. 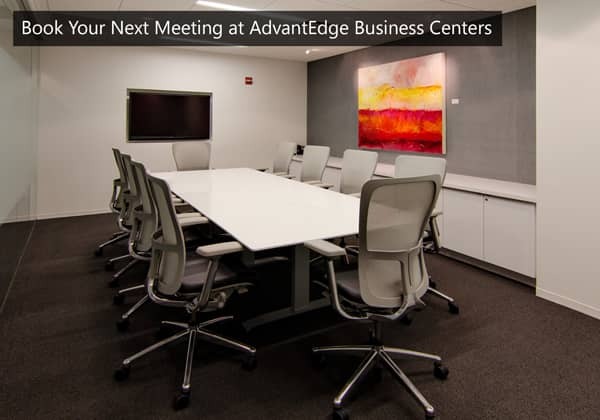 By using AdvantEdge Business Centers, your company will have access to an array of meeting spaces as well as technical support ensuring your next meeting is a success.